Winter Bucket List?? Really? What’s that? It’s a remedy for winter blues, that’s what it is! As the confetti after a fun New Year’s Eve celebration settles, and we realize that the holidays are finally over, there usually comes a lull in our activities and mood. 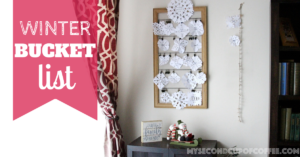 That’s when we pull out our craft supplies and come up with a list of fun things to do in winter! Inspired by our annual Summer Bucket List, our family came up with a Fall Bucket List last year, and it was a great hit! We all looked at it to see what we could do on week-ends or evenings after school, so there was no shortage of ideas. No, we did NOT do all the things we wrote down, but it was never our intention. 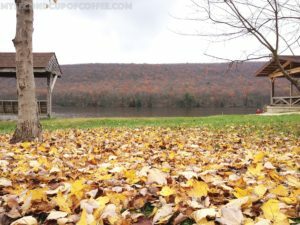 I have to admit that we create seasonal bucket lists simply for inspiration and as an interactive way to brainstorm ideas of fun things to do as a family. Have you ever had a longing to have a more meaningful Easter with your family? Have you struggled to teach your kids the meaning of Easter beyond eggs and bunnies? Have you ever felt stressed and overwhelmed with the sheer volume of available information? 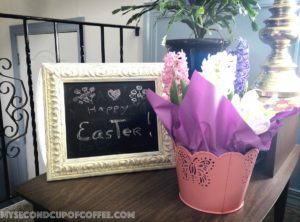 If you seek simple ideas about how to start easy, fun, meaningful faith-based family traditions this Easter, this post is for you.